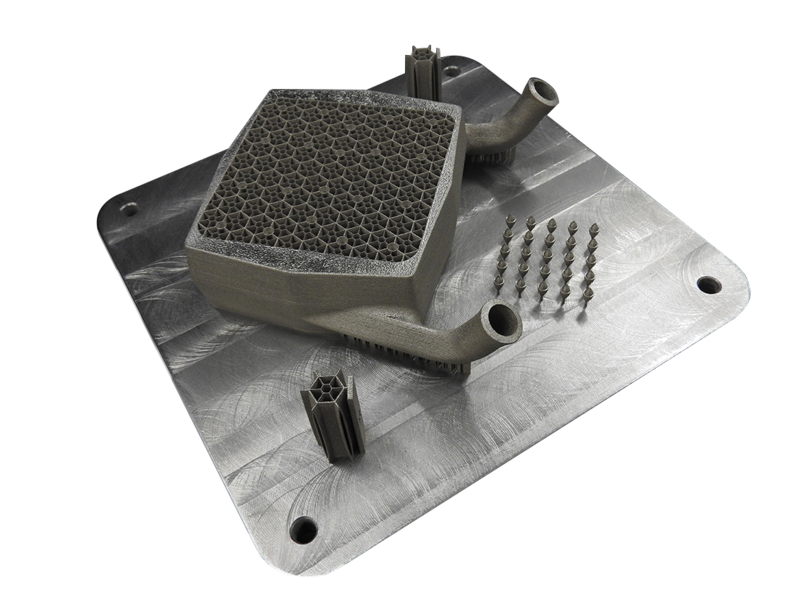 Additive Manufacturing and heat exchangers: use of Selective Laser Melting to produce a novel aluminum motorcycles radiator. Heat exchangers are important devices that play a fundamental role in determining thermal and energetic efficiency of industrial processes and products. Motorcycles use compact heat exchangers to control the engine temperature. This category of heat exchangers uses air as the coolant fluid. This makes their design challenging to be realized with conventional manufacturing methods and limits design freedom as well as performance in the heat exchange. Additive manufacturing technologies as Selective Laser Melting can open new possibilities for this kind of components. Designers can reach higher aesthetic results along with improvements in the functionality through the application of “design for manufacturing” criteria. The present work investigates the use of SLM technology to produce an innovative compact motorcycle heat exchanger. The main results of the work is the original design in aluminum alloys based on the repetition of hexagonal cells with extremely thin walls. The investigation follows an experimental approach, focused mainly on the technological feasibility. In the last part of the work, two prototypes of heat exchanger were produced by SLM and tested with a transient test to determine the heat exchanging performance.